Sorry this is two days off the mark. The February 2010 Daring Bakers’ challenge was hosted by Aparna of My Diverse Kitchen and Deeba of Passionate About Baking. They chose Tiramisu as the challenge for the month. 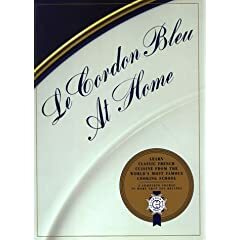 Their challenge recipe is based on recipes from The Washington Post, Cordon Bleu at Home and Baking Obsession. Thank you Ladies. This is a dessert that I have always wanted to make myself despite my continuous disappointment in the Olive Garden's version. (Big surprise, I know.) Aparna and Deeba were excellent hosts, always available if anyone needed advice or had a question. Thank you both! Completely off topic, today is also this blog's birthday. I can't think of a better way to mark it than with a special dessert like this. There is a method to my madness. I put making this off on purpose, really. All the problems with clogged Bounty paper towels and their overpriced thickness sticking to everything, and the skinny ladyfingers that had to be redone... all part of the plan. I love blogging. But really, sometimes it makes me want to take a controlled assertive blow to my computer with a sledge-hammer. I tried to write out as much of this post ahead of time before any pictures were added. Everything was saved, all I needed to do was add the final shots. But what I came back to was a chaotic, random, novel-length mess. It looked like my blog had a hissy fit, threw the codes across the screen, trampled on some letters and went off to pout in the corner. The recipe steps were spaced so far apart from each other they might as well have been on different pages. Plus the scary, large print kept popping up despite my attempts to make it smaller and less loud. Also, everything kept moving off-center which triggered my sanity to do the same. I wish I could show how deranged this post looked before I fixed it. Sorry, tried to fix. I can't get rid of the annoying large ingredient titles (it's the computer text version of people with an addiction to using 'air quotes'). All that aside, I honestly enjoyed this month's challenge. I love to bake. So when there are multiple steps involved, I feel like I'm in my element. I know the first read-through of the recipe makes it seem daunting, but it's not as complicated as it looks. Taken on it's own, each step is quite simple. And if you don't wait until the last minute, they can be done a few days ahead of the final assembly. The only area I had issues with was making the mascarpone cheese. My Cracker Jack toy candy thermometer apparently won't measure anything past 120F. Luckily the wonderful Daring Bakers had some helpful tips on how to handle the cheese cooking. The cheese firmed up beautifully in the refrigerator overnight, and by morning it had turned into a luscious, creamy, thick mascarpone. Problem #2. Who doesn't have any cheese cloth on hand? I don't. And I didn't want to ruin my mysteriously depleting supply of dish towels. So to drain the mascarpone, I wet a few layers of greedy Bounty paper towels and placed them into a sieve. I wasn't the only one who feel in love with the cheese. The stupid paper towels stuck to it, dug their tiny suction cupped absorption holes into it and refused to come off. I think I lost about 25% of the mascarpone to the thirsty little quicker picker uppers. The tiramisu recipe calls for 1/3 of a cup of cheese so it was still salvageable. But I wanted that cheese for toast or a spoon at least. It could have been worse. I really didn't expect this challenge to be so easy. It is ten times better than anything store-bought. Making your own lady fingers makes the dessert all the more rewarding (just be sure you pipe out the batter to a 3/4' thickness, not 1/4'.) Like all great desserts, you won't realize how much you have had until it's almost too late. Even though it's rich, it has a light texture because of the pastry cream and sponge-cake like cookies. You pulled it off in grand style. This is gorgeous. Happy Blogger Birthday! Your talent is gaining great momentum with your skills and photography. It looks fantastic and was worth the wait. :) And I learned never to use Bounty paper towels when making cheese! Glad you got it done and happy blog birthday!! Happy blog birthday! Your tiramisu looks gorgeous! Very happy birthday to your blog. The first blog birthday (even though Blogger does promote a love-hate relationship! )is always special and I'm happy we chose a befitting challenge for you. Your Tiramisu looks great. Thanks for baking with us. Very well done Valerina, everything about your Tiramisu is perfect! Your tiramisu turned out beautiful. I agree with you that it was an easily doable challenge just w/many steps. I barely got it posted this morning at 2:00am :) Also, had a good chuckle about the cheesecloth. I didn't have any laying around either and didn't want to pay for a package of it (and then throw it away). I improvised too. Congrats on your blog's bday and for a great DB Challenge! For all the trials and tribulations you endured and overcame, the result was worth it! Your tiramisu looks gorgeous! 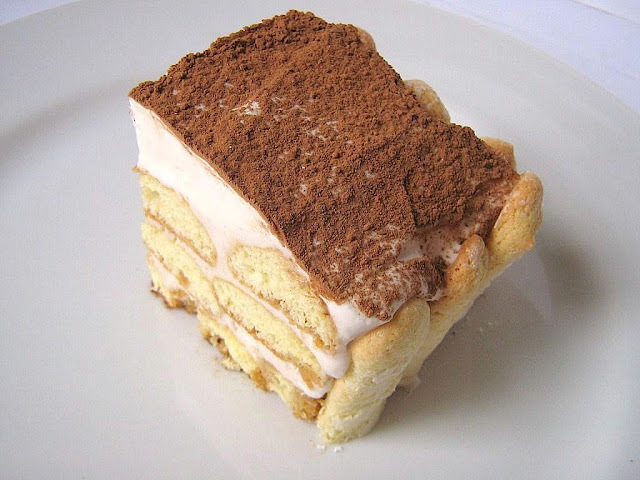 Your ladyfingers are perfectly formed, and boy does that mascarapone filling look divine! Happy blog birthday! What a way to celebrate. Happy birthday to you =). Your tiramisu looks absolutely scrumptious. Your tiramisu is lovely! You did a great job! 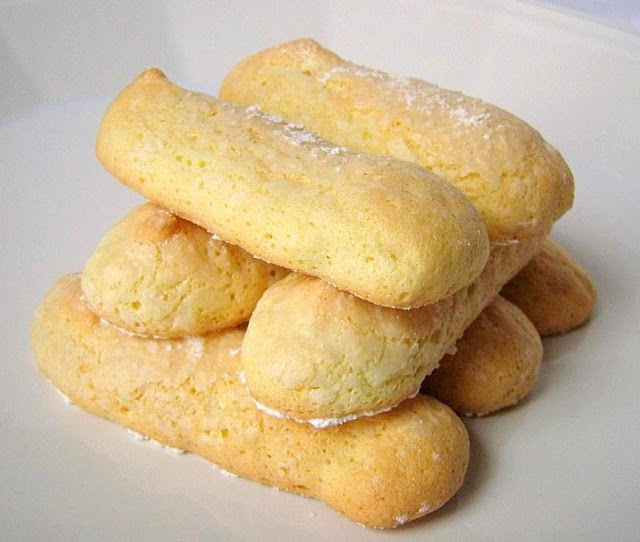 Your ladyfingers look perfect! Everything looks great! Nice job! 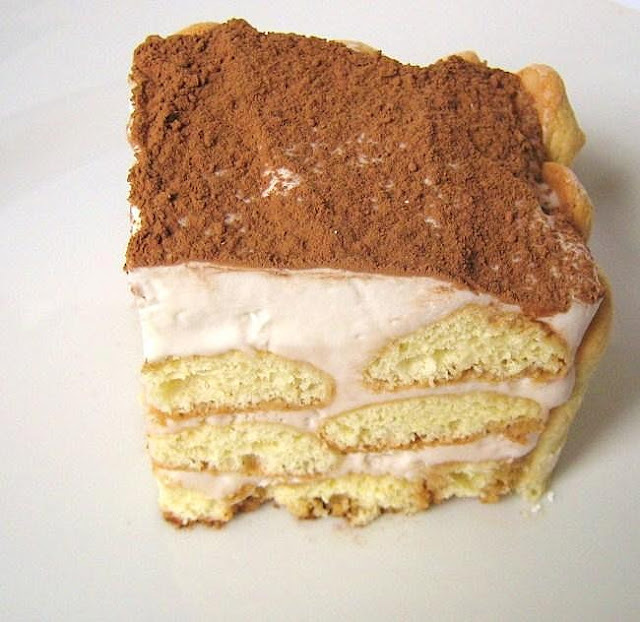 What a fantastic looking Tiramisu! Well done on the challenge and Happy Blog Birthday!! 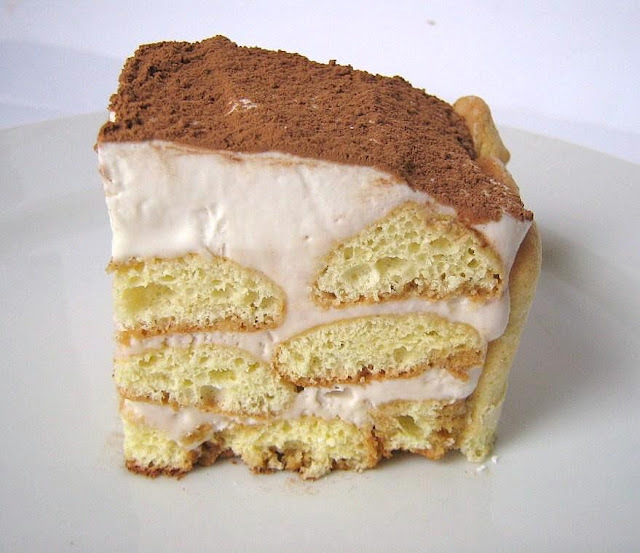 Great post and BEAUTIFUL tiramisu. It looks perfect. I am totally with you on your frustrations with blogger. Sometimes I just want to throw something at my computer when I'm using it. ARRRGHH. Happy Birthday to your blog too! so soft and creamy… Beautifully done! Happy 1st blog aniversary! Your tiramisu looks so elegant and neat! Great job! Super impressed, must try this one too! I will save this for a special occasion like MY brithday, hahah.